At the beginning of last year I started a Weekly Round-up where I would list what we'd been up to, what we'd eaten, watched etc. I stopped it after a while but had though about starting something similar this year, then I saw that Morgana who writes but why mummy why was starting up this little linky, so I thought I'd take part. I used to love reading books but now, honestly, I don't have the time. In my spare time I'm either cleaning, playing with Ava, blogging or wedding planning. I read a lot of blogs though which I guess counts. This week I've mostly been reading Charl's blog, Write Like No one's Watching. It's one of my absolute favourites, she writes from the heart and her blog is just perfection. If you haven't read it yet, it's a must! We have SO much Homeland to catch up on it's ridiculous but at the moment I'm enjoying watching films again. Preferably ones where I don't have to engage my brain like Bridesmaids or Ted. I'm also starting to enjoy watching films with Ava, a great excuse for me to revisit my childhood. Today I found Monsters Inc on sale in Tesco for £5. I was so chuffed and can't wait to watch it with Ava tomorrow. I've not bought any new clothes this week but I have some vouchers to spend and have my eye on some new heels. My wardrobe is in desperate need of a revamp! I suppose I've mostly been wearing my black Zara bobble hat this week due to this awful weather! 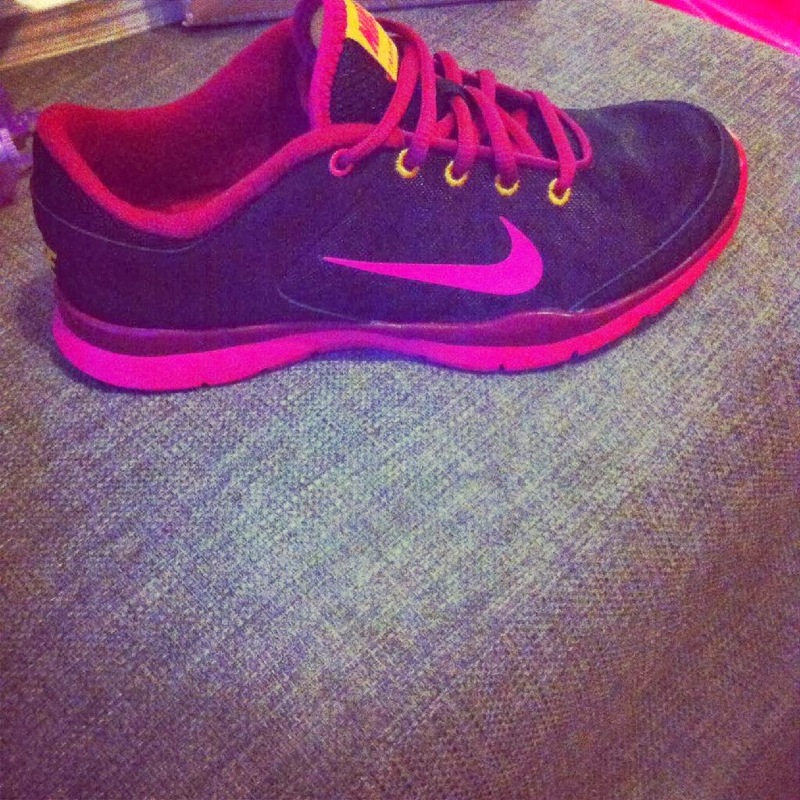 Oh and I actually wore my new trainers to the gym last night. Hopefully that'll be the first of many trips...maybe. Nathan bought me the Radio 1's Live Lounge album for Christmas and I'm obsessed with this cover of Duke Dumont's Need U (100%) by Disclosure and Sam Smith. I love Sam Smith's voice and can't wait to hear more from him this year. Last night I made my mum's amazing meatball which I will post the recipe to soon. If you're a regular reader you may have read "my fitness journey post". Well today I made my first green smoothie. 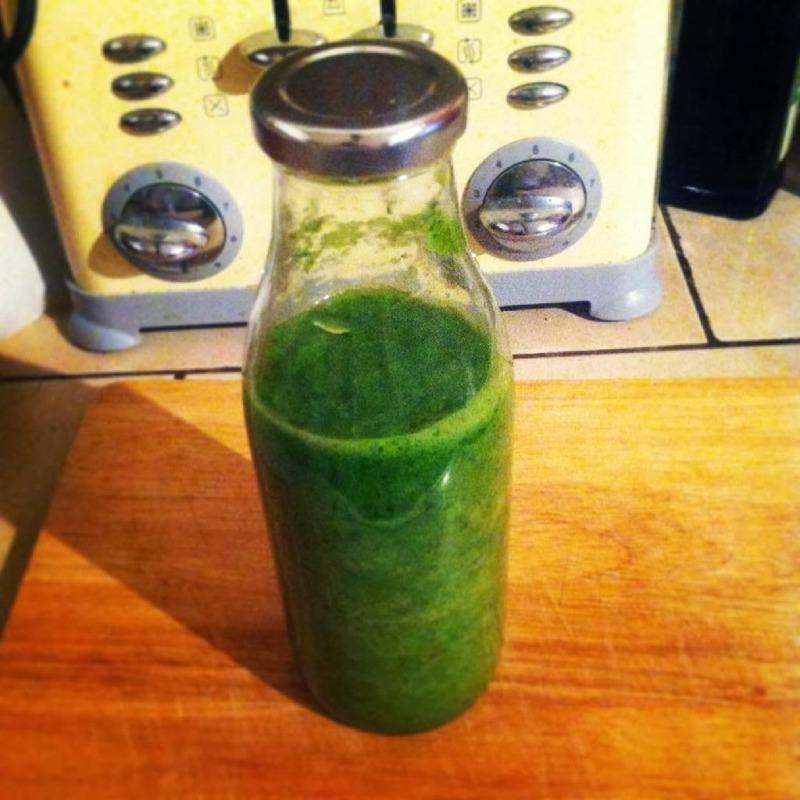 It was a bit too thick for my liking but that's just due to us not having a proper juicer! It actually tasted quite nice, a nice change from all the chocolate and Christmas cake. 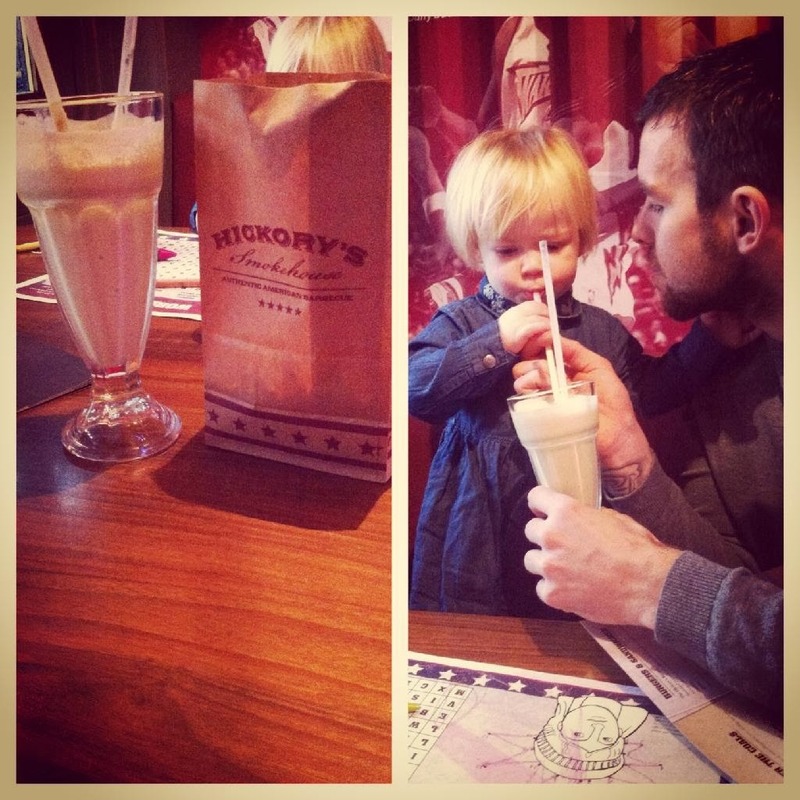 Nath and I aren't huge fans of NYE (I know, boring Bertha's over here) so on New Year's day we went out for a lovely meal together, Ava in tow, naturally, to Hickory's in Chester, somewhere I've been longing to visit! It was amazing! I had BBQ pulled pork for lunch and shared some waffles with Nath. Oh and I didn't feel guilty one bit.